Join us at Red's wine bar for this month on the 24th for making your own herb kokedamas! We will go over what they need, how to make them, why they're so cool, and sip wine of course. You'll leave with your own trio of herbs to hang in your home. 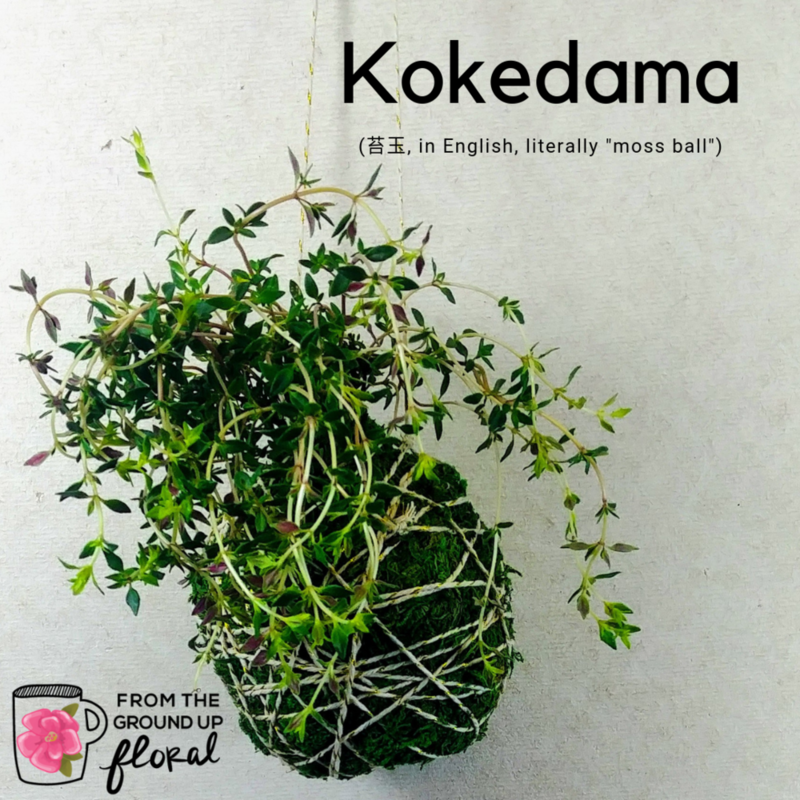 Kokedama (苔玉, in English, literally "moss ball") is a ball of soil, covered with moss, on which an ornamental plant grows. The idea has its origins in Japan, where it is a combination of the nearai 根洗い (literally "root wash," but meaning "no pot") bonsai and kusamono planting styles. Today, Kokedama is very popular in Japanese gardens. How often do you buy those wonderful little clamshells of herbs at the grocery store and use maybe one or two sprigs? Then come back a week later to find them browned in the fridge. Sad. Me too. So, I decided to choose herb kokedama. I'm horrible with plants, so an herb planter for the window box or in the kitchen is pretty much a death sentence for the planties. My thought process is that the kokedama will be a cute reminder hanging literally in front of my face to water when needed. Let's hope. But, in the meantime, let's get our hands dirty and drink some wine!